Experiencing a Healing Crisis During a Juice Fast? Juicing for its healing effects it what it’s all about, in my opinion. There are other reasons to do a cleanse, like weight loss but these should be secondary benefits and not the main aim. There is no doubt that when embarking on a juice fast, that after a number of days, you are going to experience what is known as a healing crisis. This is great news, although it may not always feel like it. If a healing crisis is in full flow then the juices are doing what they are supposed to, and your body is responding as it should. I actually welcome the body’s response in this way, although it never feels pleasant. The benefits and great feelings of well-being always come afterwards. A healing crisis is simply put your body’s reaction to the fact that you are in a fasted state and that you are flooding your bloodstream with nutrients that it doesn’t usually get. On any fast the digestive system shuts down after 3-4 days, leaving more resources within the body to detoxify, which in turn increases its ability to clean out all the toxins. This is what makes you feel groggy and/or unwell. A Healing Crisis is Part of the Healing! Lets face it. The majority of us are not treating our bodies with respect. We regularly ingest fatty, processed foods, excess alcohol, drugs(legal and illegal). Then there is the pollution from outside with cigarette smoke, car fumes and industrial waste. No wonder there is a strong reaction from the internal organs as it works to clear these toxins and heavy metals from the body. Detoxification is the house cleaning process for the bodily system. As your system detoxifies the toxins are being eliminated through the blood stream, urinary tract, skin and breath. You may also find that conditions that you already suffer from are exacerbated during your fasting period, when the healing crisis begins. How long does the Healing Crisis Last and What are the Symptoms? 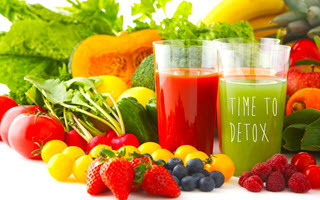 Detoxification can last anytime between an hour and 2-3 days – depending on how toxic your system really is. During this time you can experience anything like mild headaches, and nausea up to full-blown flu-like symptoms that can leave you feeling quite ill. The immune system may also be weakened. Some people also find acne problems resurfacing as the body detoxifies through the skin. Your body is undergoing a deep cleansing so you can expect there to be reactions but it is all going to be worthwhile. It is important that you understand what is happening and to allow the cleansing process to continue. Although you may feel rough, and entertain thoughts of ending your fast prematurely, it is important you persevere to let the body do its work and heal. What can you do during the Detoxification? As stated above it is important to keep going through this phase. Keep drinking your juices until the end of your fast. It’s also a good idea to drink plenty of water – filtered if possible – to help eliminate the toxins. Every time you come out the other end of a juice fast or other detox plan, you will find that the next time you don’t feel so bad during the healing period. This only applies of course if you complete a fast at regular intervals – at least every 6 months. The longer you can stay on a juice fast the deeper the healing will be. The longest fast I have ever done has been 7 days. 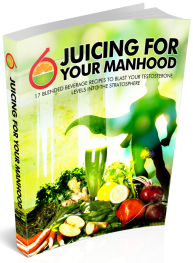 Many people juice fast for much longer – 30 or even 60 days. Nowadays I look forward to doing them, even though there may be a day or two when I don’t feel great, I know that the end results more than make up for the rough patches. I always end up feeling lighter, with more mental clarity and a general feeling of well-being. Before ending I’d just like to add that not everything is a healing crisis so it’s important to always keep in mind, that if symptoms persist or are anywhere near severe, to seek the guidance of your medical professional. That said, I hope you reap the benefits of your next cleanse. I’d love to hear about it in the comments field below.